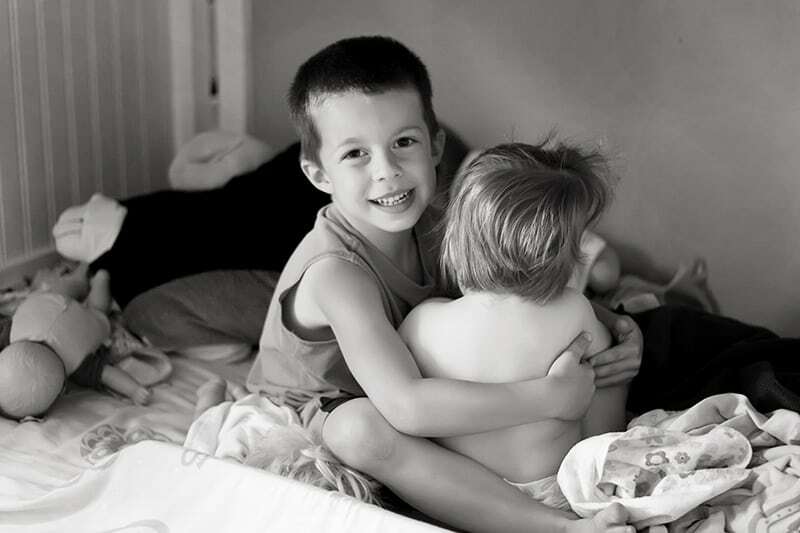 I think this boy is the best big brother. When I put clean clothes away yesterday Michael volunteered to play with Emily. While I was in the other bedroom she climbed into the bottom bunk, so Michael sat with his arm and leg around her to make certain that she wouldn’t fall off. This is what I found when I peaked in to check on them. Sometimes I feel sorry for him, being the only boy sandwiched between two pairs of sisters. I often tease my friends saying that I will adopt any of their 3 to 5-year-old sons so that Michael can have a brother. But, then when he is so tender and kind, I realize that he is blessed being surrounded by these sisters. He is learning to be a protector and a nurturer. He can play rough and tumble with his boy cousins, but he is also learning how to care for and relate to girls through his relationships with his sisters. They sure are blessed to have him as a brother, and I am so lucky to be his Momma.